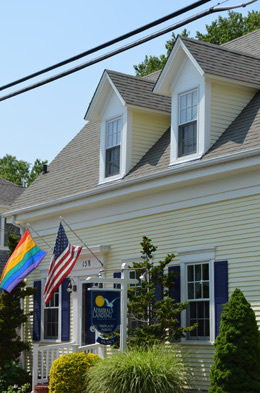 Before arriving at Admiral’s Landing, our guesthouse accommodations on Cape Cod, please familiarize yourself with the following policies. If any questions arise or if you need additional information regarding your stay, please don’t hesitate to contact us at the inn. Parking: Onsite – one car per room. Space is limited, so please NO LARGE SUVs OR TRUCKS. If you are traveling with a large SUV or truck, you may need to find alternate parking. Cancellations: There is a 10% Service Charge on all cancellations. Your deposit will be refunded minus 10%, if you cancel 21 days prior to your reservation. *If you cancel within 21 days, your deposit (90% of the re-rented amount) is only refundable if we are able to rent the room for the canceled period. **Reservations which are cancelled on either the day of the reservation or by not showing up without notification are the full responsibility of the guest and payment in full is required. In addition to the 50% deposit, the balance for the entire stay will be charged to the guest. *Please note that deposits for Holiday or Special Event periods are non-refundable unless we are able to re-rent the room for the entire period reserved regardless of when the room is cancelled. Trip Cancellation Insurance should be considered if in doubt about your plans. Deposits: We require a 50% deposit to hold your reservation. Deposits other than credit cards must be received within (7) seven days after you have made your reservation. Reservations made within (14) fourteen days of arrival can only be held by a credit card. For reservations of (2) two days or less, the full amount of reservation will be charged to your account. Personal checks are accepted on deposits only. Balance is due upon arrival in the form of Cash, Visa, MasterCard or AMEX. Deposits are pro-rated on a daily basis over the length of your stay. There are no refunds for early departures. Rooms are subject to 11.7% room tax. Smoking: Our inn is a SMOKE-FREE establishment (with the exception of the parking lot). For your safety, we have a NO CANDLES OR OPEN FLAMES policy anywhere inside the house or cottage. Any guest violating the non-smoking or open flame policy will be charged a $500 cleaning fee. 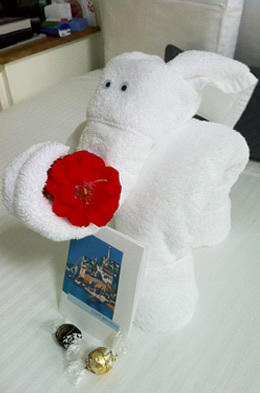 Guests are responsible for any damages or losses. Children: For your comfort we cannot accept children under the age of 16. Pets: Although we love pets, we cannot accommodate them. ***For the comfort of our guests, if you arrive with either a child or pet, we WILL NOT be able to accommodate you. We will do our best to help you find alternate accommodations, but you will be responsible for the balance of your entire stay. No refund will be given. Although we have minimum stay requirements during the summer months, we often get 1, 2 and 3 night gaps because of the way bookings are made. Please call to check availability.